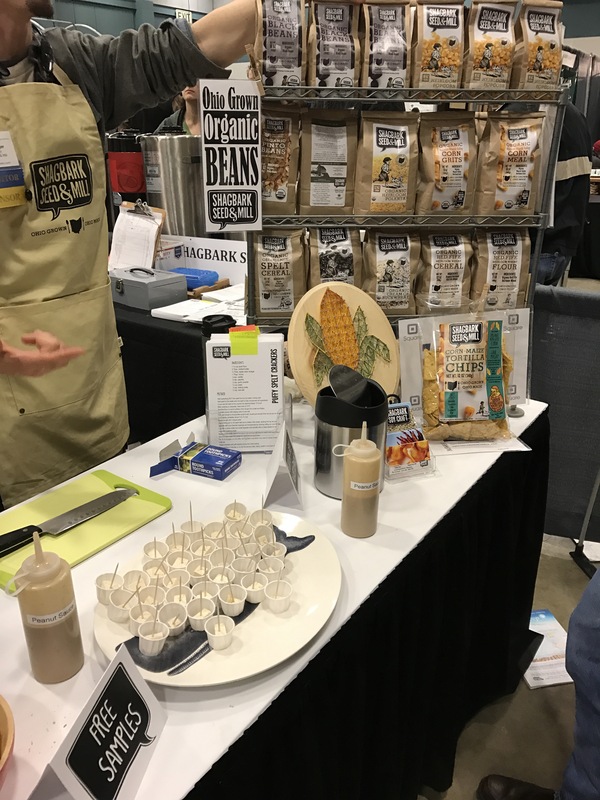 This was my second year attending the Ohio Ecological Food and Farm Association conference. I was invited last year to host a children’s workshop and got my entrance fee covered as a volunteer. I spent that day sitting side-by-side with large and small scale, rural and urban growers learning about various aspects of growing food organically. I was hooked. Last year the conference was at Granville High School. Granville is a small town known as the home of Dennison University a small liberal arts school. I don’t really know much about the town other than it’s in a beautiful setting and full of homes that remind me of New England. It’s a high-end real estate market with a school to reflects the resources it has available. A large garden on the grounds is maintained by one of the teachers and his students. The school has its own chef who includes ingredients grown in the garden in his menus. The students eat with metal silverware off ceramic plates, glassware, and reusable lunch trays. Anyone who has been in a public school in the U.S. in the past few decades knows this is very rare. Many kids these days are being offered free and reduced lunches that don’t look much different from what’s served in prison off styrofoam trays that they through away after every meal. It’s a disgrace on too many levels to get into here. Granville high reflected the values of OEFFA and the conference. This year, however, in an effort to accommodate more people the conference was moved to the Dayton Convention Center. In that setting it lost its small scale charm and sense that it is doing something differently. 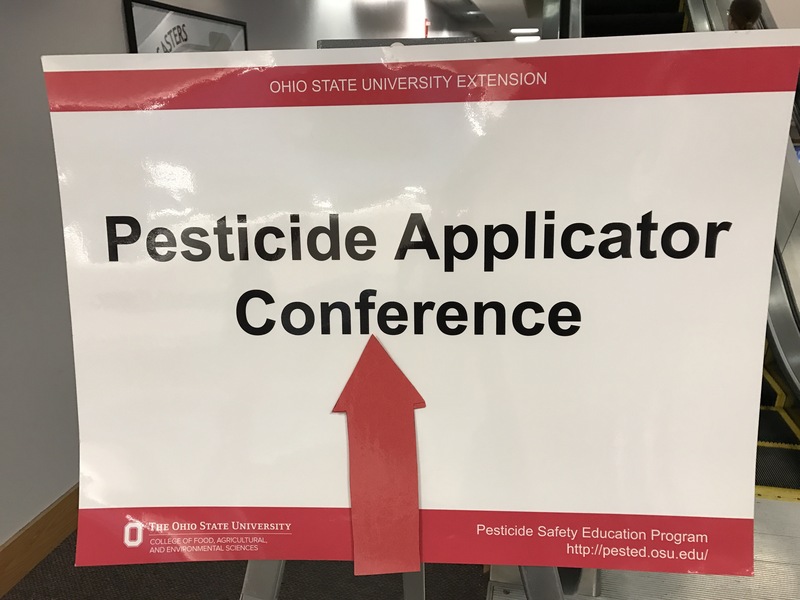 I’ve been to lots of conferences in convention centers and all the centers feel the same – oversized, anonymous, depressing… To make matters worse, OSU Extension was offering a pesticide application program at the center on Friday. The irony was not lost on any of us. It was hard not to imagine this is what it would have been like if Sanders and Trump had held rallies in the same place at the same time. I don’t have a solution for this problem and I’m not saying this as criticism. It is meant as a candid critique in hopes that perhaps it will be somewhere else next year. It’s great that the conference is growing! But is there someplace we can grow that might better reflect OEFFA standards? I spent three hours Friday morning listening to Dan Kittredge talk about biological systems and creating healthy ecologies for soil, plants, and humans on our farms. While a lot of the concepts he talked about were not new to me, he spoke about them in new ways–mixing scientific knowledge with a deep understanding and respect for the development of human life, as well as plant life, and making comparisons between the two that anyone could understand. They got under my skin. By the end of his sessions, I was ready to run home and get working on new experiments with the land instead of just on my land. Here are a couple of key concepts and quotations Kittredge presented that might get you inspired. I encourage you to check out the Bionutrient Food Association he helped found for more information on his philosophy and approach to farming. On monocropping he asked “Is it good for all six-year-olds, or 12-year-olds for that matter, to be sitting in a row alone all doing the same thing removed from society?” Those who know me know that I am deeply skeptical of the prevailing educational model currently being employed in this country. Thinking about my plants and their relationship to the environment they’re growing in and how they collaborate and work together is something I’m going to give a lot more thought to. I started some new experiments with cover crops this past fall and Kittredge’s idea of maintaining them alongside, and in some cases up against the cultivated plants has me thinking about what’s next. Kittredge shared a lot of information on both political and economic history of agribusiness. He added so much to the scaffolding I’ve been building on this subject, the fears I’ve been harboring about our food system, and what we might do to change them. Decades ago, Rachel Carson documented ways the government transferred World War II biological weapons research to the production of insecticides and herbicides. Kittredge reported they also started funding research at land-grant universities and directed those research projects in order to promote the use of fertilizers, pesticides, and insecticides in a vicious cycle that strips the land of its lifeforce. This has made the US farmers, as a whole, more dependent on the companies that sell fertilizers another artificial inputs and control measures and reduced the quality of the food supply, making us sick. Kittredge suggested, health care costs, not military or infrastructure spending is what will bankrupt our country. If, as Hippocrates taught and Kittredge reminded, we thought of and raised food to be our medicine, we wouldn’t might not get sick in the first place. I spent lunchtime meeting with Gina Freeman who has run a “Giving Garden” program at the Columbus Jewish Day School in New Albany for the past few years. The program is funded by a grant from the Columbus Jewish Foundation for community partnerships. She and her students harvest the food they grow and deliver it to various residential facilities and shelters around Columbus. She’s a friend of a friend whom I was very happy to meet and share ideas for the future with over an amazing, locally-sourced meal. After lunch I walked around the exhibitions hall. Sampled some tofu coming soon from Shagbark Seed & Mill (!) and spoke with some vendors about soil testing, seed saving, and mineral amendments. 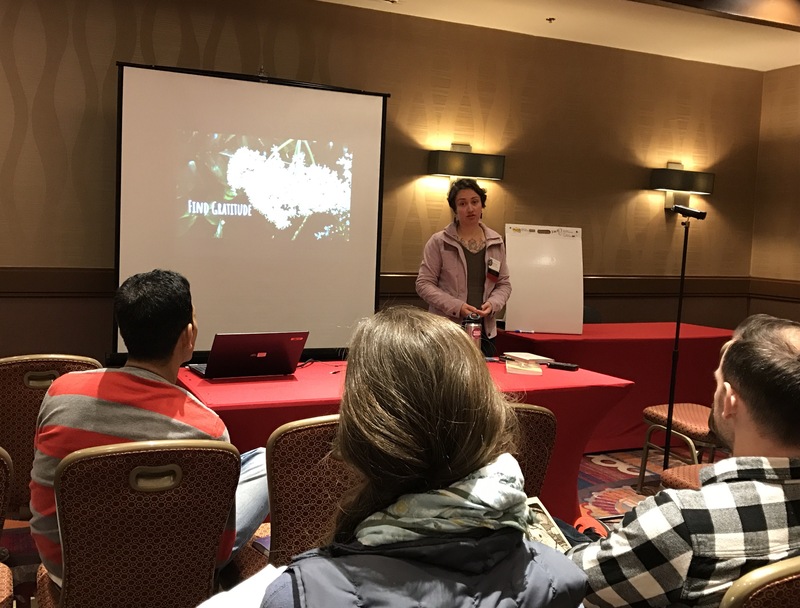 After lunch I jumped around between a few sessions – one on cover cropping in community gardens, another on growing tomatoes in high tunnels, and finally to my femfarming friend Rachel Tayse’s presentation on Mindful Growing. 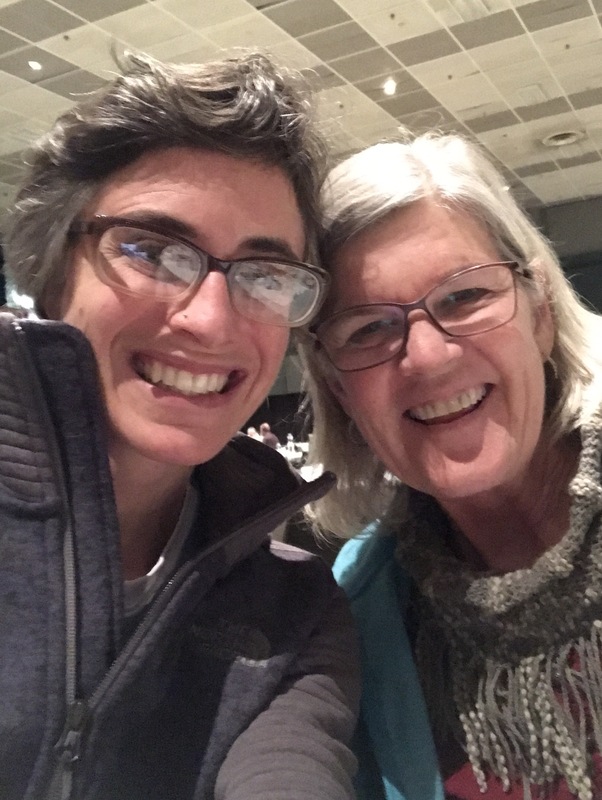 I look forward to talking with her more about the ideas she shared and my own interests in bringing mindfulness to my farming practices. I have written about the repetitive practices of some contemporary artist that I love and how they help me think about my work with the land as a creative practice. I feel like there’s a lot more room to explore a synergy between creative practices in the art studio and creative work on the farm. In addition, I’m interested in exploring farm work in relation to Jewish mysticism. 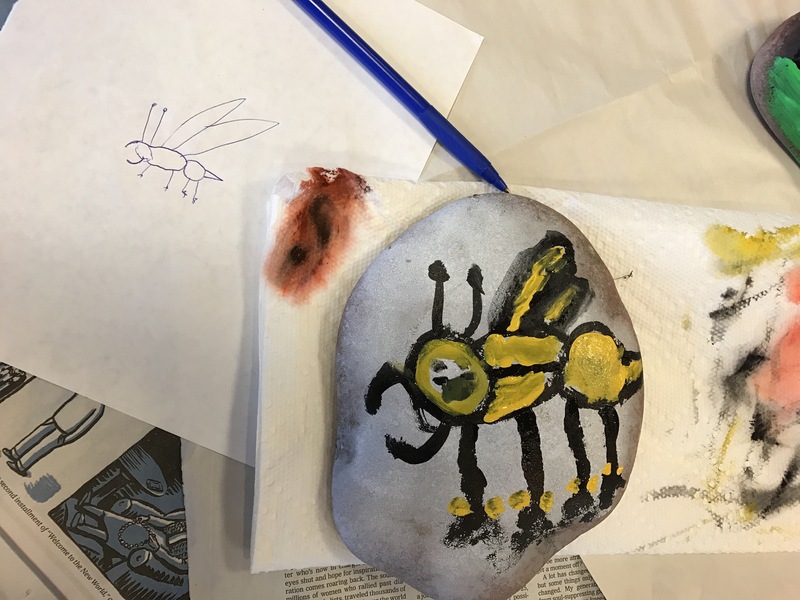 My final time at the conference on Friday was spent leading a workshop on rock painting with insects for about a dozen 6 to 10-year-olds. By the time I got to them at 4 PM, the children were bouncing off the walls. They were all eager to paint the rocks. But only a few of them painted insects. He’s one of my favorites. Saturday morning I attended a session with Jim Riddle, whom the OEFFA conference catalog listed as “a 30 year veteran organic farmer, inspector, educator, policy analyst, and activist,” titled “An Agenda for Organic America.” Riddle was the keynote speaker Friday afternoon, but I missed his talk due to my volunteer shift. 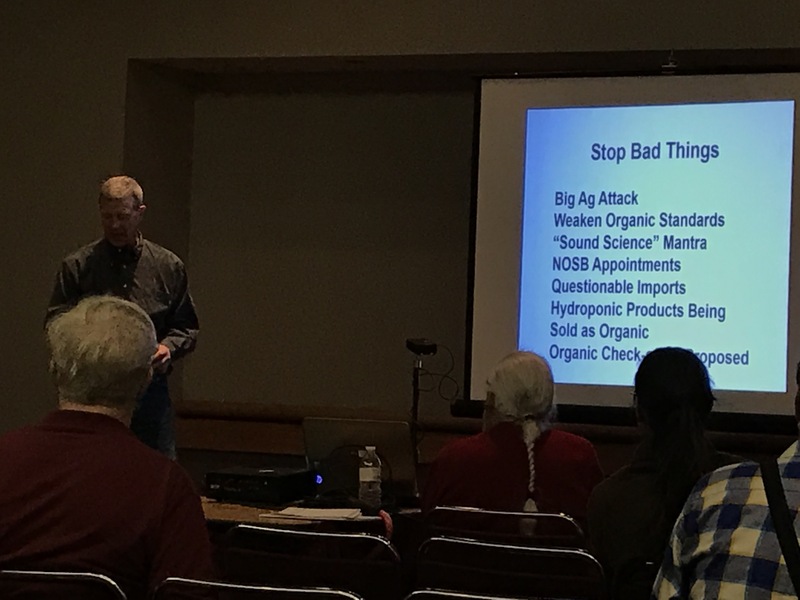 Riddle’s talk was based in his experiences as an organic fruit farmer and former member of the US Department of Agriculture National Organic Standards Board. The content of presentation could easily be its own post. He presented the agenda for the session was: gains, stop bad things, build on success, what we need, and what you can do. As he presented this list, however, he acknowledged that these categories of information are not divorced from one another. Here’s an example. Start with this gain: A new Organic Farmers Association group is going to be formed out of a Rodale Institute initiative and the Organic Farmers Alliance. Riddle highlighted that this will be a farmer-led interest group serving on behalf of farmers themselves, not industry lobbies which speak in favor of increasing organic consumption with little regard for production. Shift to stopping this bad thing: With farmers largely absent from policy conversations in the past, the size of the organic market grew built on the backs of foreign imports. International imports are not held to the same standards as US products. Some might be higher, some lower. But the regulations do not require imports to be labeled as specifically as homegrown organics, there is no traceability. Not only does this mean that we don’t really know what were eating, but it also depresses prices and market share for US growers who have to keep lots of records and pay lots of fees to be certified organic. Riddle suggest that we build on successes like relationship marketing like “Know your farmer” projects. This is an idea Over the Fence Urban Farm is built. I hope that following our story will inspire folks, whether they are part of our CSA or not, to seek out the stories behind what they are eating. This also seems to be the only way to REALLY know what you are putting in your bodies. Riddle argues we need more advocacy – through regional farm bureaus, letters to the editor, and educational initiatives like farm-to-school programming – to highlight the relationship between human health and planetary health as well as providing more funds for those who want to transition to organic from conventional farming. This was a perfect lead into keynote speaker Robin O’Brien. O’Brien spoke from her experience growing up in an extremely patriotic Texas family. It was America first all the way, she said. She went to business school and became a Wall Street analyst with a focus on the food industry. She watched the organic movement growing in the early 1990s, but just thought of it as a good marketing idea. She had her come to Jesus moment after one of her children had an allergic reaction to something he ate. This tipped her off to the fact that not all food is created equal and that we’re not really sure what the foods that are genetically modified or consuming are actually doing to our bodies. 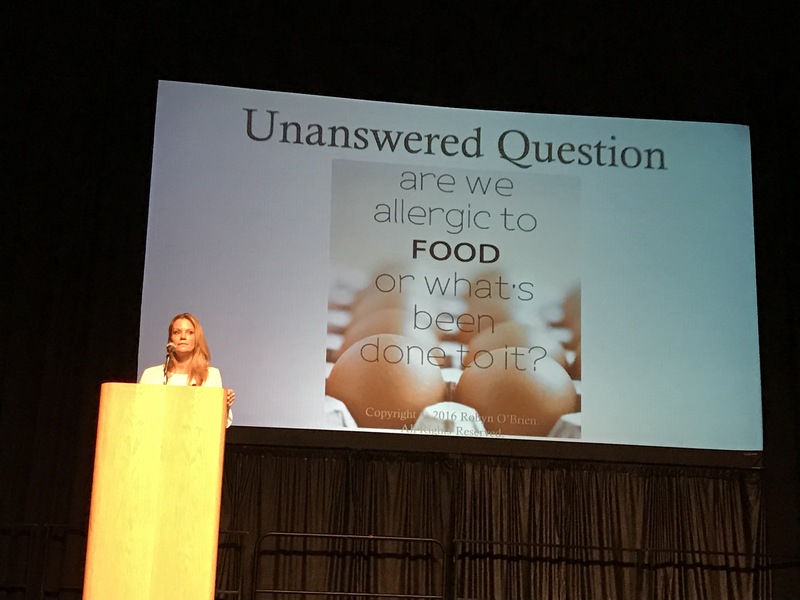 She did research on GMOs and Monsanto and found a correlation between the number of hospital visits for children with food allergy reactions and the rise of Monsanto in the mid-90s. Building on her business experience and relationships, she got the ear of many executives and politicians who were willing to listen to her and shared that they also feared what they were selling and didn’t want their families to eat it. Much of what she shared about GMOs and related pesticides was not new information for those in the room. As organic growers and consumers we already new about the proven and yet-to-be researched risks of GMOs on human people and the planet. But O’Brien brings lots of incredible statistics to the table about corporations like General Mills and Kellogg buying small companies like Annie’s and Kashi and then struggling to scale-up production using USDA organic raw ingredients like corn, soy, and wheat. We are currently importing large more than half of these from other countries. (Note how this links back to Riddle, above.) The good news, these corporations are now putting money towards helping American farmers transition to growing more organics so they don’t have to import them. While the news wasn’t all good, O’Brien suggested the time is ripe for Washington to pay attention to organics, and build on the new president’s “America First” and job creation focii. I spent a few more hours in the exhibition hall and communing with Central Ohio femfarmer friends over lunch before heading home. All in all, it was a great weekend that got me revved up for the 2017 season! Categories: Uncategorized | Tags: Agenda for Organic America, Dan Kittredge, Jim Riddle, OEFFA, OhioOrganics, Organic Certification, Organic Farming, Robin O'Brien, USDA Organics | Permalink.